Don't tell Mr. J, but the Joker's main squeeze is now yours to have and hold as your quintessential naughty-girl pal! What mayhem will you two get up to? 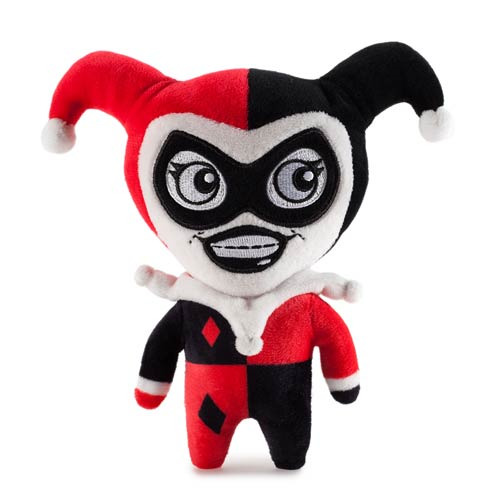 The DC Comics Harley Quinn Phunny Plush is crazy cool and measures about 8-inches tall. Ages 8 and up.